Netflix selection of movies available on streaming keeps changing and evolving all the time. 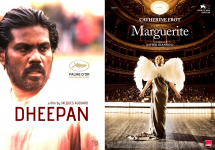 2 latest good news: Marguerite and Dheepan. These 2 movies among our favorites in the recent releases join the great existing line-up of French films available on streaming on Netflix. That was pretty fast. Both movies got released last Spring in San Francisco and had met a rather good success considering the number of weeks they have been programed. 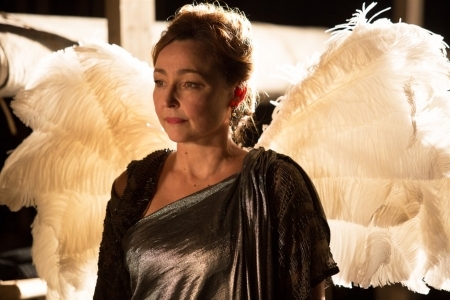 Catherine Frot won the Best Actress Cesar award or her unexpected and surprising part as Marguerite Dumont, a Castafiore who sings wholeheartedly, but she sings terribly out of tune. 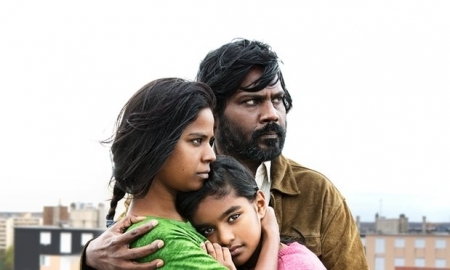 Jacques Audiard received the Palme d'Or in Cannes in 2015 for his latest movie, Dheepan that has finally opened in San Francisco and the Bay Area after having been part of the Mill Valley Film Festival selection last year.